A rapidly advancing student would do well to consider this fine violin. 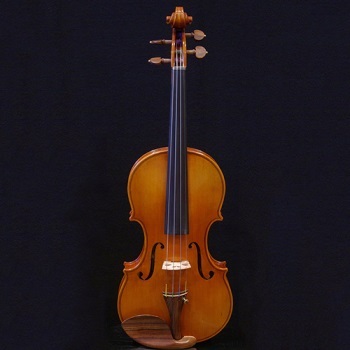 The tone is open and free, but there is an underlying complexity that only a player experienced with control and sound production will bring out, resulting in a violin that rewards the player the more they study and develop their personal technique. The construction of this instrument is equally fine, with lovely flamed maple and fine grained spruce that the orange toned varnish really brings to life.